Series B Hog brushes are made from a very high grade of Chinese bristle and are similar to Series A. Seamless nickelled brass ferrules. Long ivory polished handles. 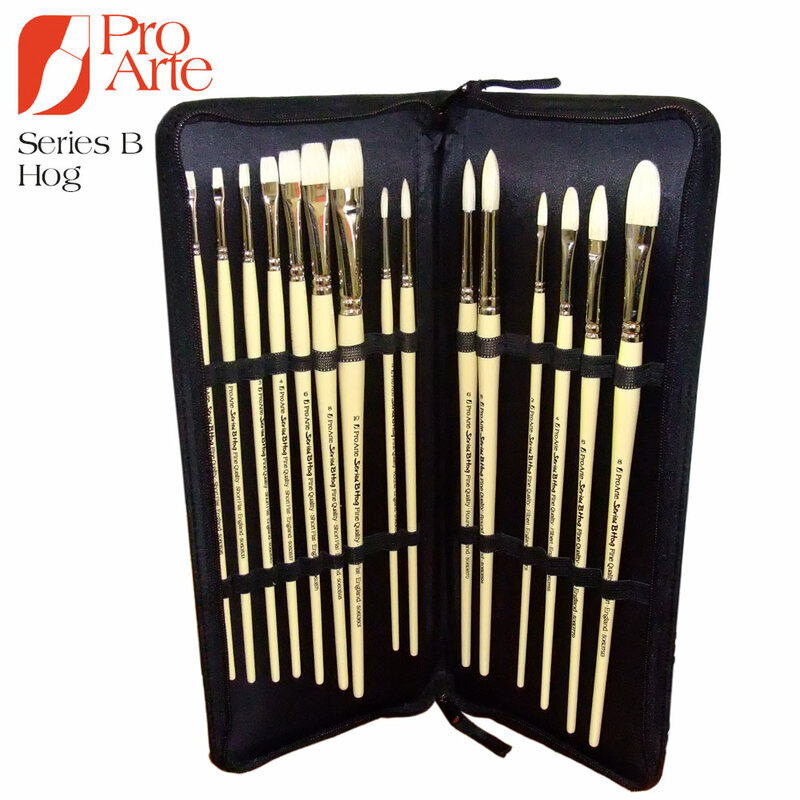 This excellent value set consists of a selection of 15 Pro Arte Series B Hog brushes, all contained within a Pro Arte brush case.